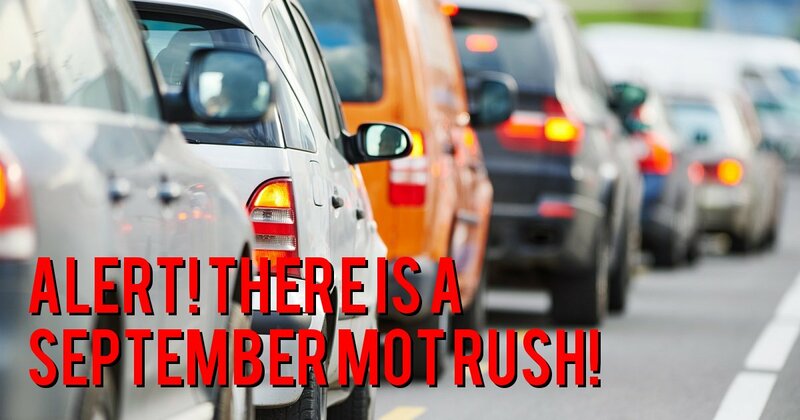 Are you ready for the September MOT Rush? As we’ve mentioned before, here at Garage Express in North London, we pride ourselves on keeping our customers up-to-date on the news in the motor industry that may have an impact on them. Here we would like to draw your attention to something that most people will be completely unaware of. It may sound a little odd, but if your car or van needs and MOT this September, you could be a little surprised to learn that there may be a rush for MOTs to be done and therefore garages could be too busy to fit you in straight away. But how could this happen? According to a recent survey conducted by mycarneedsa.com, there were a huge number of cars registered during 2015 which, by current policy, will require their first MOT this September. Add that in to the number of cars already requiring MOTs, it will mean that garages across the country could be fully booked during the month. Therefore you would be well advised to book your car or van in for its MOT as soon as possible, in order to beat the possible rush. However, as we mentioned in our previous article on our sister website Russell Automotive Centre “MOTs are changing in 2018 - What it means to you.”, you will need to make sure you book your MOT with a reputable independent garage. Here at Garage Express, based in North London, we are fully equipped and experienced to service, maintain, repair and MOT all makes of cars and vans. Our team are on hand to help you plan the dates and times to help ensure your car or van is kept on the road. If you would like to speak with a member of our team for some advice or would like to book your car or van in for an MOT, please call our team in North London on 0208 905 8788.